One day I walked into sim (where we do treatment planning CT’s), and noticed this sticky on the desk. 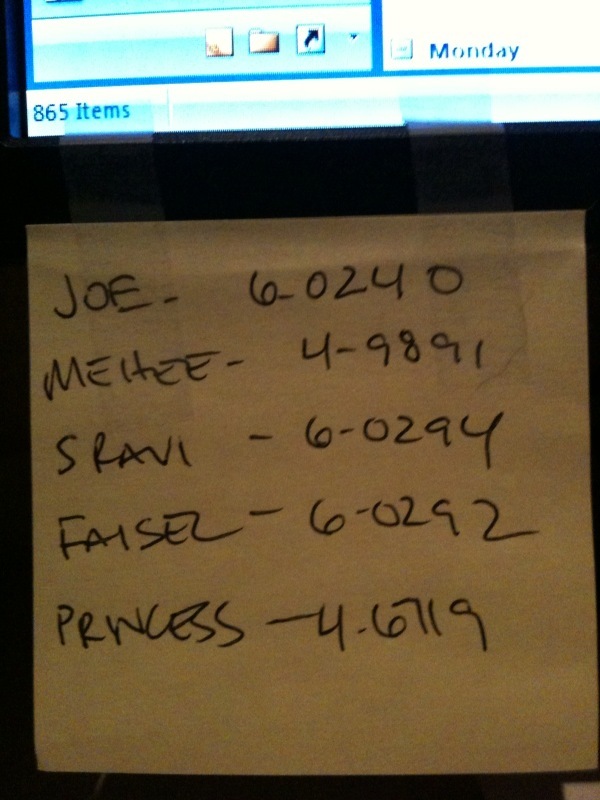 It is a post-it note listing the desk lines of the residents. A-Ha! Long live the monarchy!